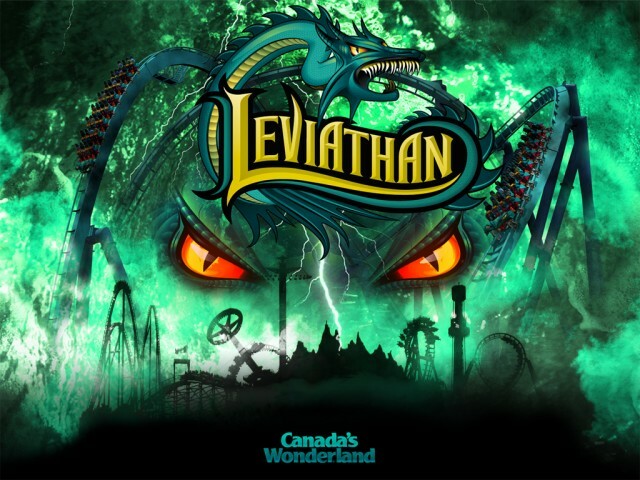 August is announcement month and while many parks have already had their plans leaked or revealed, 2012’s best kept secret (that we know of) is Canada’s Wonderland 2012 coaster. With no rumors or hints of any sorts, earlier this Summer the park began construction on footers near the the employee parking lot and the area around Dragon Fire. Footers continued to spread like wild fire and the employee parking lot is now closed off. The most exciting news is that supports have now been spotted on site. 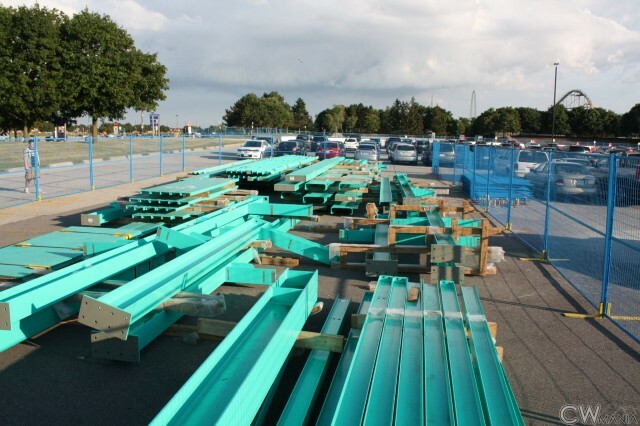 CWMania has a gallery showing off a closed off section of the parking lot filled with teal-colored I-beams. In addition, various labels list the customer as “X-WORKS”. Most bars are also labeled with “Top Coat” and/or “Primer” which seems to be indicative of some sort of future paint job however almost never is a coaster painted on site. According to one source, “X-WORKS” is also on the labels for Thorpe Park’s 2012 The Swarm coaster track, however I doubt that Bolliger & Mabillard is building 3 Wing-Riders in one year (if Dollywood proves true of course). 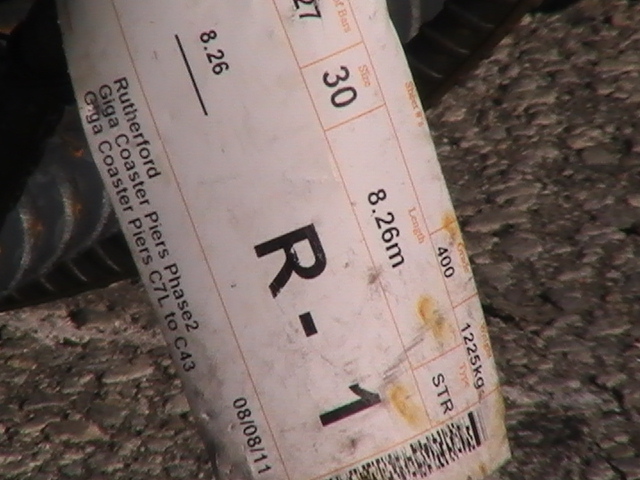 However, on one of the footers, section is labeled “Giga Coaster Cap”. Although it seems strange to have a title like this out in the open it seems indicative of my expectations: a new version of Intimidator 305. After the huge success in a non-franchise Cedar Fair park, I do believe that a number of parks have been eying on how they could build similar versions of Intimidator 305, the world’s #1 coaster. The relatively short I-beams could be either low to the ground, low-stress brake run or station supports, or also could be apart of a large lift support structure similar. Eitherway, the park which now boasts 15 coasters, including Behemoth, the country’s tallest and fastest, could be stepping up as the 2012 coaster in North America. All will be revealed when the park announces plans on August 18. Stay tuned…..
B&M Track has now been spotted in the employee parking lot. Image from a CWMania. UPDATE: Friday, August 11 – Today, CWMania discovered teal Bolliger & Mabillard track on site. The standard track size eliminates the possibility of a large scale dive macine (e.g. Griffon or SheiKra). Fans are now trying to decipher the “placement” of the track and how it may indicate that the ride is an inverted or flying coaster. However, while I was dead wrong with the Intamin prediction, my next guess would be a floorless coaster. With this new track on site, what type do you think it is? UPDATE: Wednesday, August 18 – Theme Park Review member CedarFair21 has an update from the park. It appears that the tag on the footer was correct, or Canada’s Wonderland has pointed even more false tags (doubtful). 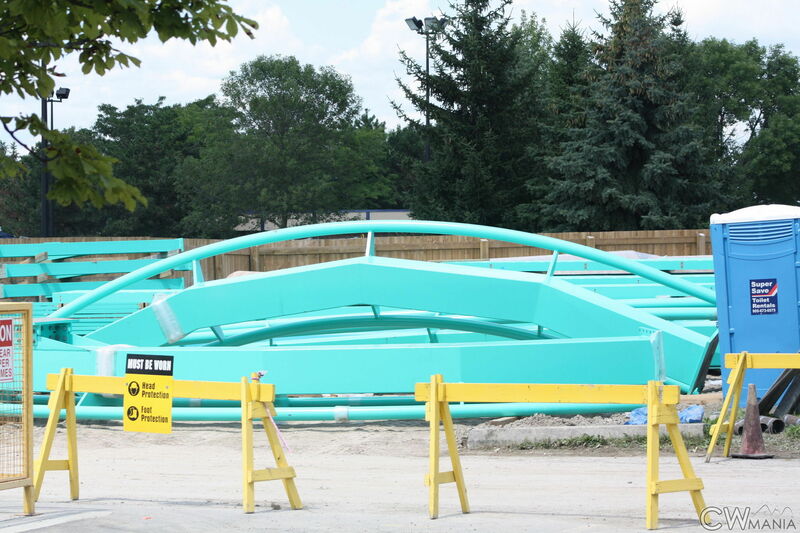 Either way, on some of the latest track that has arrived it does seem to indicate that Canada’s Wonderland is in fact building the first B&M Giga-Coaster. The park also updated their website with yet another preview indicating the ride will break records. The rumored name is also Leviathan which matches the shadows in the background of the teaser. The standard sized track rules out a 8 or 10 abreast Dive Machine like Griffin/SheiKra. At the same time, I’m thinking the park isn’t building some sort of giant hyper style coaster because Behemoth is just across the park. So I will change my predication yet again (it’s only my third time right?) and call for a B&M Giga-Coaster with inversions and a new style of train. What do you think it is? We will find out tomorrow! Check back for more! 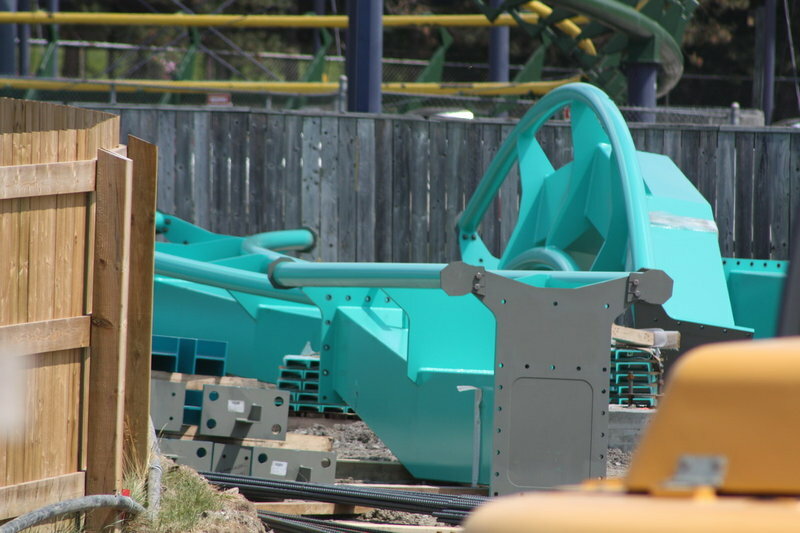 They just released a picture of the track segments, and they’re B&M tracks!